If you own a car, then you’ve most likely have gone through the process of taking it in for a repair or tune-up. However, knowing what to look for can be the most important step. Aside from car repairs, tune-ups are usually less expensive and require less work. If you see a mechanic for a car tune-up, they can usually have it completed in a short amount of time, depending on the problem. However, it’s vital to keep an eye on how your vehicle performs, so you can find the solution quickly before the issue gets worse. In this post, we’ll discuss 5 signs that your vehicle needs a tune-up. Given our hectic lives and the stress that comes with seeing an auto shop, we sometimes brush off seeing the check engine light. In addition, some cars appear to run perfectly fine once the light comes on, so people will ignore calling a mechanic. However, a check engine light can mean severe issues with your vehicle, even if you can’t notice anything wrong. Make sure to call an auto right away if this light turns on. The brakes of a vehicle are one of the most important components of the system. If you have old or damaged brakes, it can lead to fatal car accidents. If you notice literally anything wrong with your brakes, it’s highly recommended to have your brakes examined by a professional. While squeaking can be normal, it’s important to have your car looked at if the issue gets worse. You also might start to feel a soft brake pedal or strange sounds coming from your system. If you notice any of these, call a mechanic right away. Constant vibrations of shaking can mean some serious problems with your vehicle. Usually, these issues happen from problems with your tires or alignment, but they can be caused from numerous ways. Whether you notice minor or major vibrations, it’s best to call an auto shop right away to have the problems fixed. If you neglect these repairs, it could lead to a tire blowout or other very dangerous problems. If you notice that your car is losing more gas more quickly, then you could need a professional tune-up. Over time, it’s normal for a car to drop in fuel efficiency, but if it happens early in a car’s life, or if it happens at a drastic rate, it could mean severe issues with your vehicle. Be sure to keep an eye on your fuel economy and schedule an appointment with an auto shop if you notice something strange. Another tell-tale sign that you should call an auto shop is if you hear weird sounds. 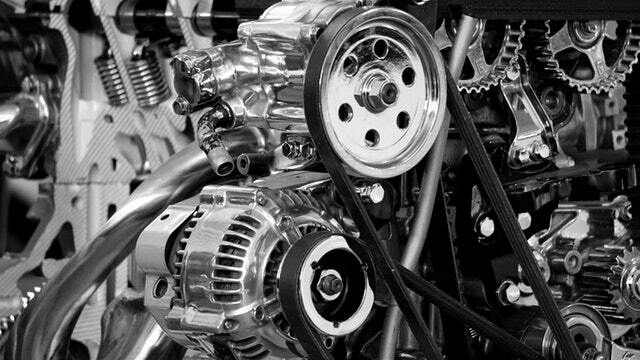 Vehicles can make a wide variety of strange sounds, so it’s best to call an auto shop right away if these sounds don’t go away. Listen for knocking and pinging, as these can be common sounds that lead to the need for repairs. Listen to your vehicle and see a mechanic is something sounds off. If you notice any of these 5 issues with your vehicle, taking it to an auto shop can save you time, money, and unwanted stress.